"OUTDOOR EVENT, TRADE SHOW, ROOF SYSTEM, SPECIAL TRUSSING..."
Stage Light Truss is located at the heart of Silicon Valley in Nothern California. Our commitment to having quality products with the fastest turn-around time in the industry has earned the respect of lighting professionals and companies nationwide! 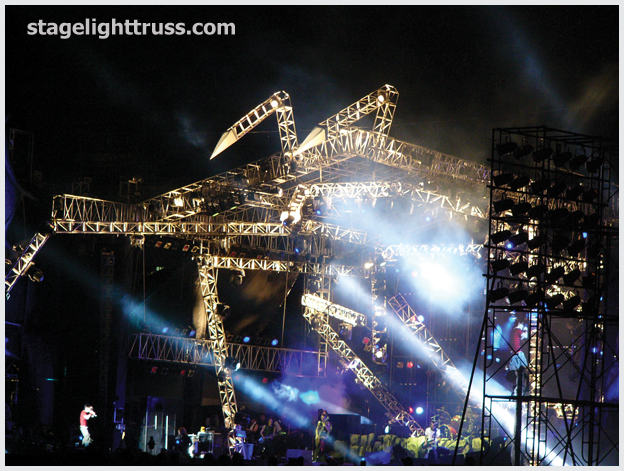 STAGE LIGHT TRUSS, California U.S.A. If you have any question or need a quotation, please give us a call or email us immediately. We are always ready to support you right away.